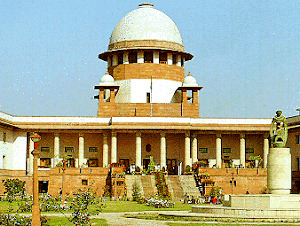 October 10, 2014: Defending his decision to order replacement of asbestos sheets with galvalume sheets in food godowns between July 11, 2008 and April 23, 2010, in a letter, Ashok Khemka, former Managing Director, Haryana State Warehousing Corporation (HSWC) and the noted whistleblower has accused Shashi Kant Sharma, the new Comptroller and Auditor General (CAG) of India of having denied him an opportunity to explain his decision. The past usage and the continued usage of the roofing sheets made of cancer causing fibers is an anti-public health legacy of previous governments. 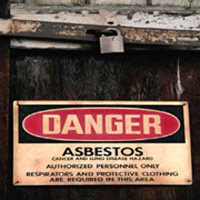 Asbestos causes incurable diseases like lung cancer, asbestosis and mesothelioma. The alternatives of asbestos sheets are ideally suited for roofing applications. Khemka’s decision to replace asbestos sheets is bound to be praised in some 55 countries which have banned asbestos of all kinds. His decision is in compliance with the resolution of World Health Organisation (WHO) and International Labour Organization (ILO) that has recommended elimination of asbestos. This decision honors the letter and spirit of the Supreme Court of India’s judgment dated January 27, 1995 directing central and state governments to update their rules and laws in the light of fresh ILO's resolution. ILO has made specific directions vide its Resolution of 2006 introducing a ban on all mining, manufacture, recycling and use of all forms of asbestos. Union Ministry of Labour and Employment has constituted an Advisory Committee of 13 members to develop control strategies and to review the safeguards in relation to primary exposure to Asbestos by the workers in pursuance of the judgement of Supreme Court. There are four terms of reference (TOR) of this Advisory Committee. Two of these TORs deal with ‘ILO guidelines’ and ‘fresh resolution passed by ILO”. The reply does not recognize that the ‘fresh resolution passed by ILO’ refers to the above mentioned June 2006 resolution. Union Ministry of Labour set up this Advisory Committee to implement Supreme Court order. paper at the two-day 5th India-EU Joint Seminar on “Occupational Safety and Health” during 19-20 September, 2011. It is noteworthy that Dow Chemicals Company has set aside $2.2 billion in compensation fund to address future asbestos-related liabilities arising out of acquisition of Union Carbide Corporation (UCC) and its Indian investments in 1999. 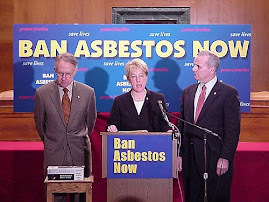 Many manufacturers of asbestos-containing products have gone bankrupt in USA as a result of asbestos litigation. Dr. R.B. 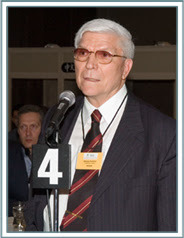 Raidas, Deputy Director General, Directorate General of Factory Advice Service & Labour Institutes. (DGFASLI) revealed that 36 out of 1000 workers have been found to be suffering from asbestos related diseases. He revealed that DGFASLI had studied some 8, 000 workers and found that some 228 workers were exposed. stop its use. Politicians are hiding behind absence of data which is not being collected. They shared this at conference organized by Maulana Azad Medical College, New Delhi organised by Centre for Occupational and Environmental Health in partnership with Drexel University, School of Public Health, Collegium Ramazzini, Ministry of Environment & Forests, Ministry of Labour and Employment, Government of India and Heart of England, NHS Foundation Trust. Not only that Central Public Works Department (CPWD), Union Ministry of Urban Development Government of India provides for “non-asbestos cement board partitions.” (CPWD Dehli Schedule of Rates, 2007, www.cpwd.gov.in/final-dsr2007.pdf). An update in 2012 refers to “high impact polypropylene” fibre as the non-asbestos type of fibre-cement specified. www.cpwd.gov.in/DSR2012.pdf. 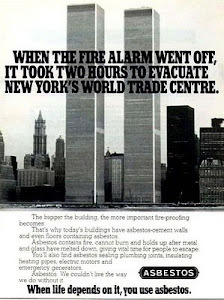 Meanwhile, although India has technically banned asbestos mining, Russia, the world’s biggest asbestos producer remains India’s biggest supplier of raw asbestos. India remains the world’s biggest asbestos importer. India is consuming 15 % of the total world asbestos production, as per US Geological Survey estimates. Notably, Ukraine decided to prolong anti-dumping duties on imports of asbestos-cement corrugated sheets from Russia for an additional five years. Owing to growing public awareness about the hazards of asbestos, consumption of asbestos dropped by 39% from 2012 to 2013 in India. India’s asbestos consumption in 2013 was 302,668 tons. In 2012, it was 493,086 tons. It is quite evident that Khemka has done the right thing that paves way for asbestos free Haryana and paves the path for other Indian states to follow. Instead of auditing his work, CAG should conduct an audit the status of the asbestos laden buildings, victims of asbestos related diseases from the government hospital records in the country and suggest a plan for the decontaminating buildings of hazardous asbestos fibers to save present and future generations.